Over the Xmas and New Year break, why not catch up with the blogs you missed (as I am taking a break and not writing any new ones until the new year….!)? Below is a listing of the 20 most viewed blogs that were published this year. They reflect the tumultuous political events of constitution making and elections, but also the on-going debates about the way forward for agriculture, land and rural development. 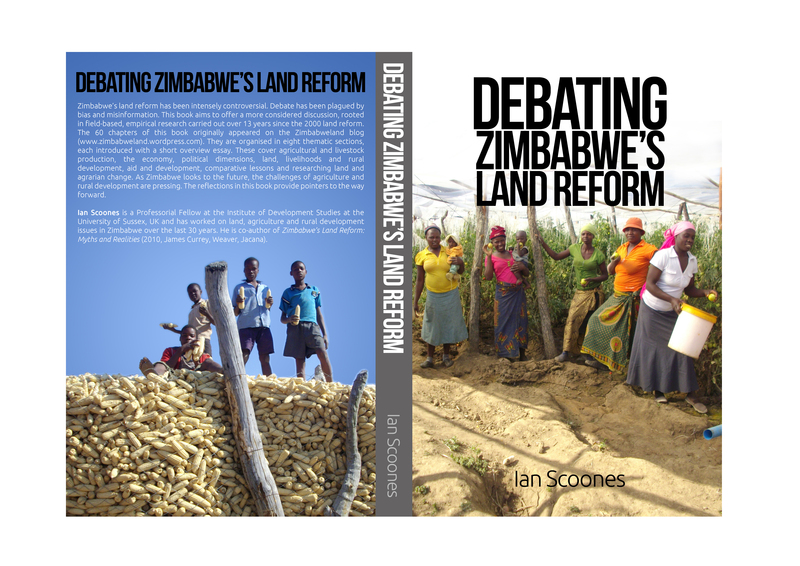 You can also read many of them, along with some new essays and many others, both older and recent, in the new 224 page book, Debating Zimbabwe’s Land Reform. As mentioned last week, it’s now out and is available at a very reasonable price through Amazon. The top 20 for this year is below (of course biased by the fact that those posted in January have had rather longer to accumulate views). Happy reading! Do please add constructive comments, as it’s always good to get reactions on the blog, and don’t forget to sign up for an alert each time a blog is posted. 2 Food crisis in Zimbabwe: 2.2 million at risk. But where do the figures come from, and what do they mean? 13 Zimbabwe’s agricultural sector goes from ‘bread basket to basket case’? Or is it (again) a bit more complicated? Enjoy a well earned break. Today is budget day. No doubt an analysis on the agriculture provision will be given in the New Year. Although there will be a difficulty in financing and implementing some of the themes this looks good. Key passages like assisting emerging entrepeneurs, drought proofing, contract farming, engaging partners on ARDA estates etc are there. Also formalisation of title gives a credit worthy basis for loans and hence development in the sector by dynamic entrepeneurs who wish to go their own way rather than be bound into contracts. Chinamassa and also Nhema are men that can take Zimbabwe forward.